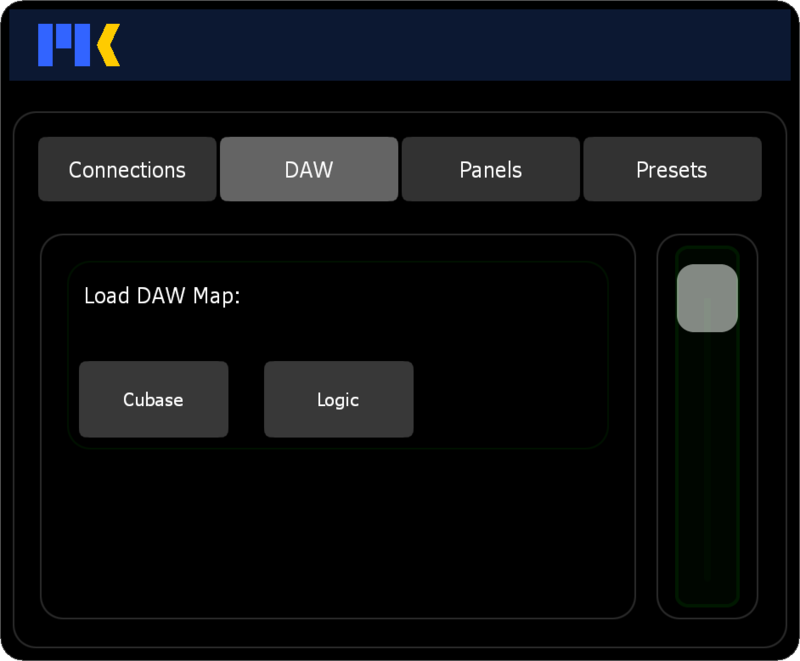 To begin, tap the MK Logo to open preferences, and load the key map for your DAW. 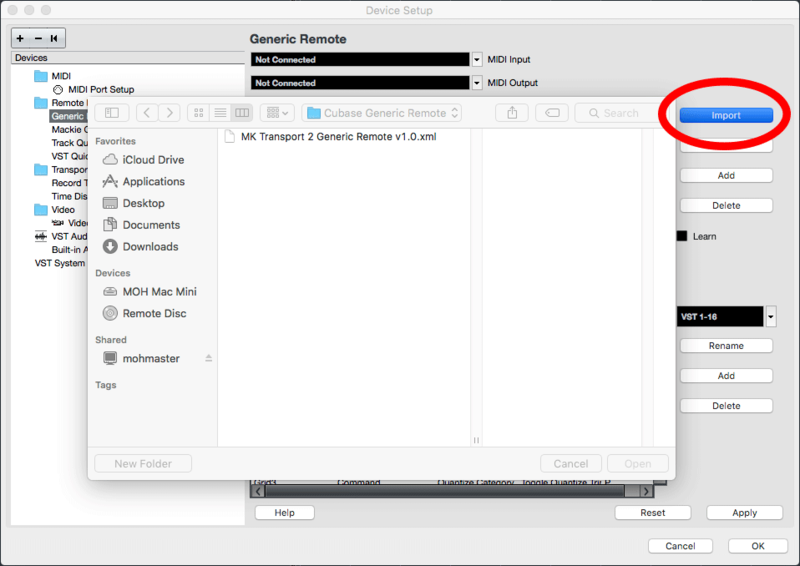 • Open Cubase, go to the Devices menu, and select “Device Setup…”. 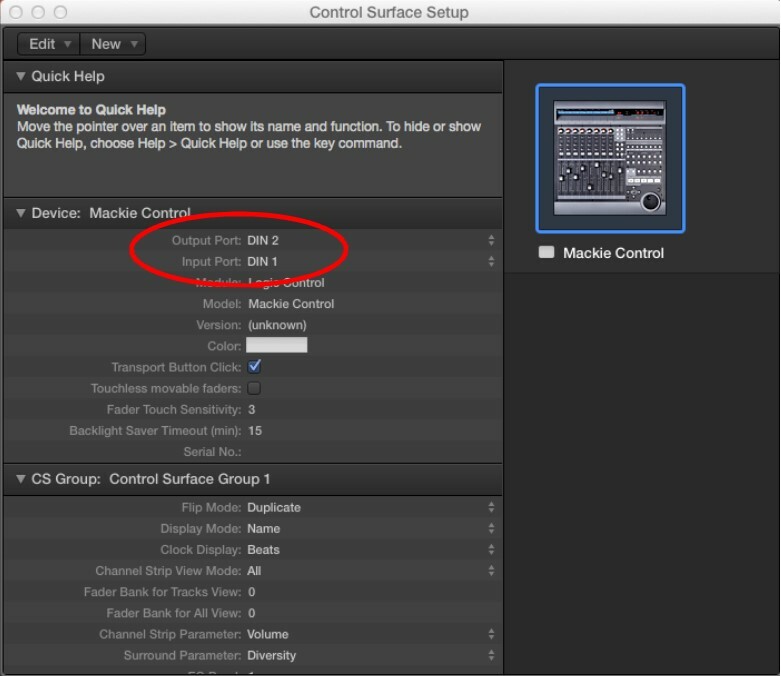 • Click on the + button and create: 1 Generic Remote and 1 Mackie Control. 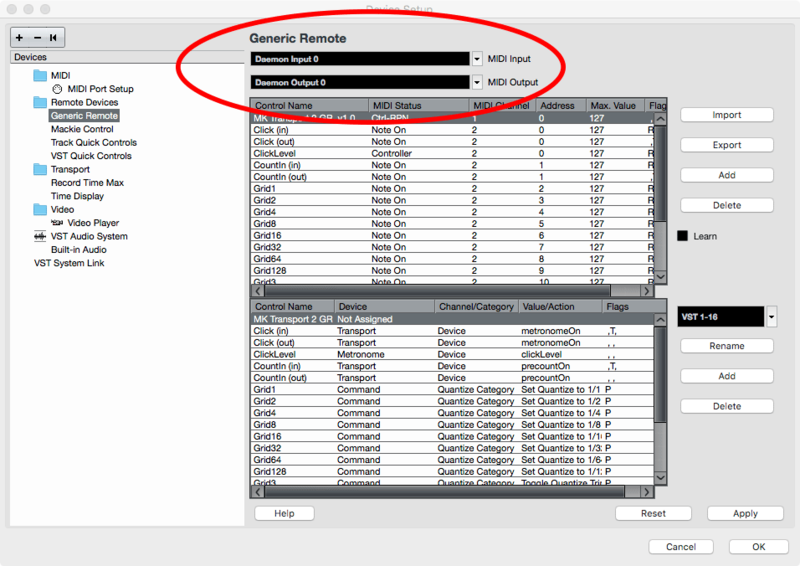 • Select the Generic Remote and import the MK Transport Cubase Generic Remote. 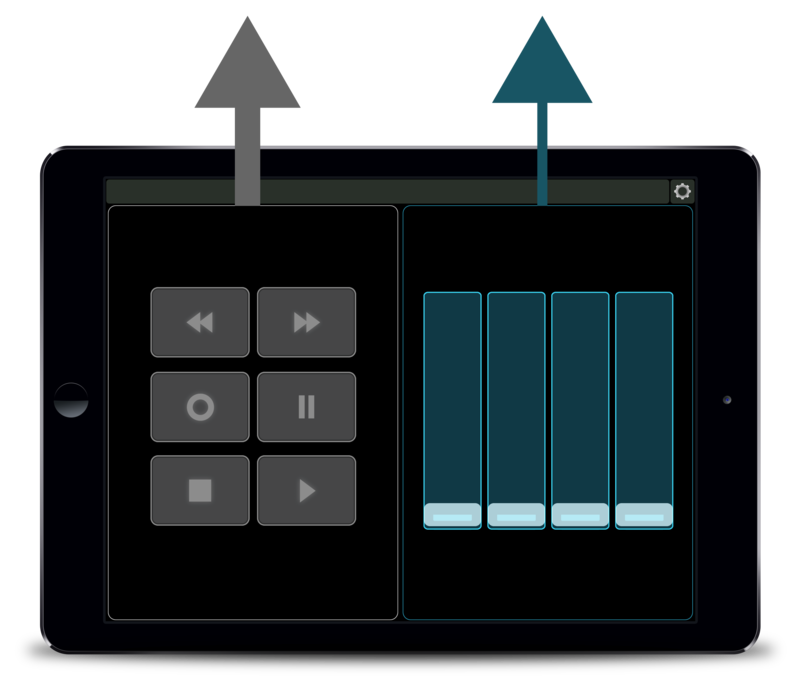 • Assign both remotes to the desired MIDI port that is connected to Lemur. MK Transport is bidirectional— connect both the input and output. 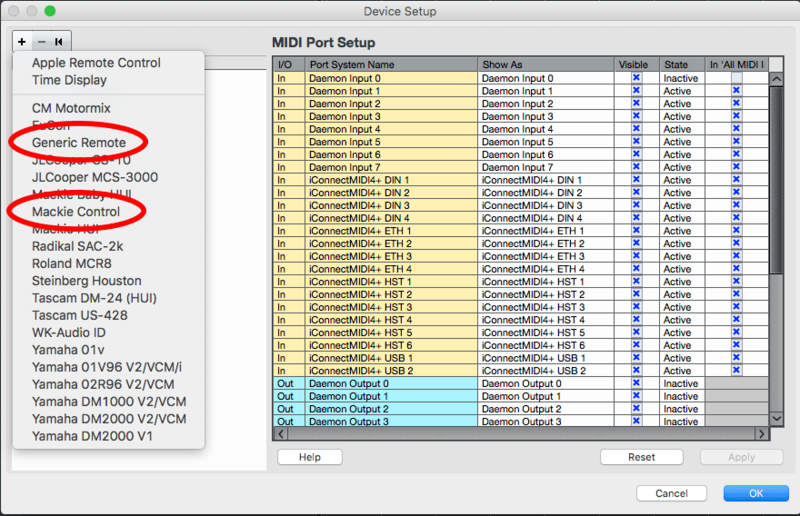 • In MIDI Port Setup, make sure you have excluded the input port from your All-MIDI Inputs. You don’t want to accidentally record MK Transport’s commands onto one of your tracks! • Click OK and you’re done. • Open Logic, go to the Logic Pro X menu: Control Surfaces, and choose “Setup…”. 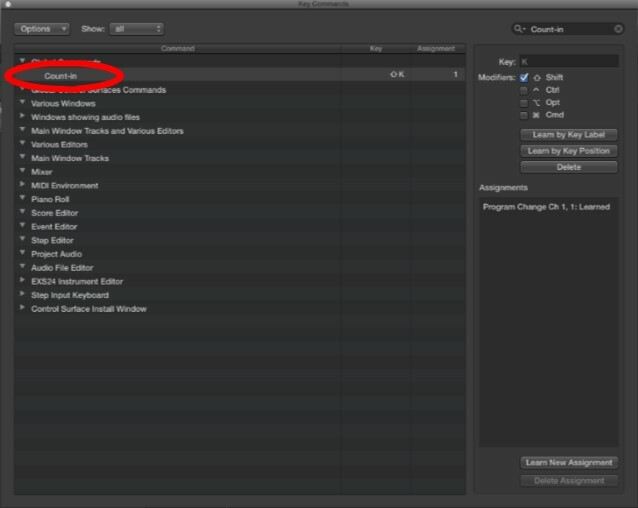 If you don’t see this command, make sure that Logic’s “Advanced Controls” are enabled. 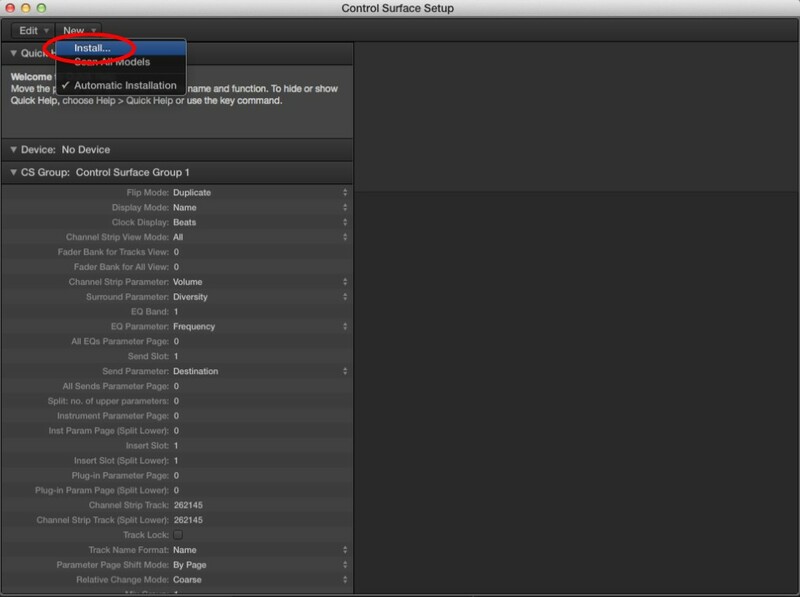 Go to Preferences: Advanced, and enable Control Surfaces. 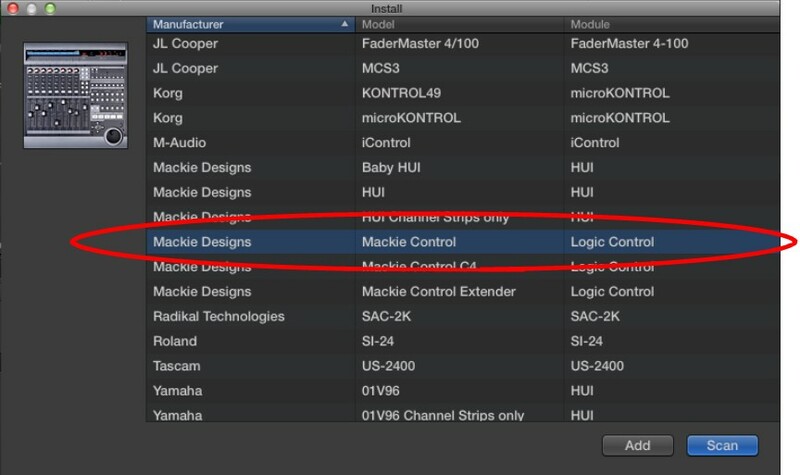 • Select “Mackie Designs : Mackie Control : Logic Control” and press Add. 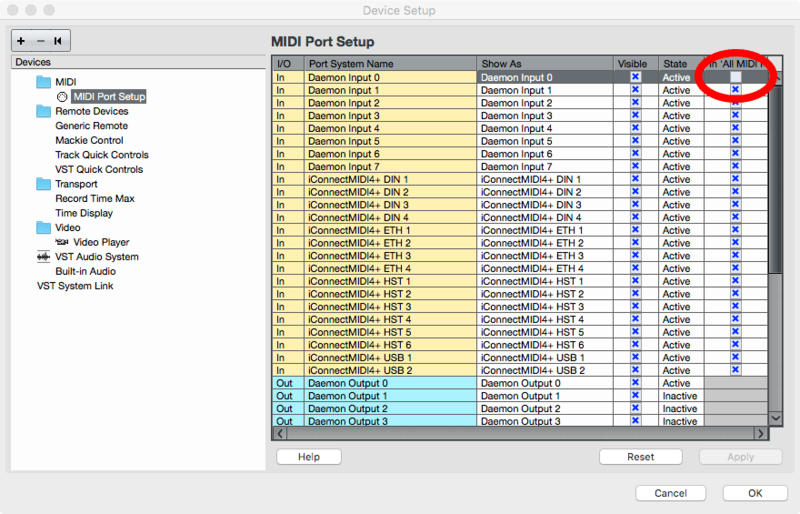 • Assign it to the desired MIDI ports that are connected to Lemur. 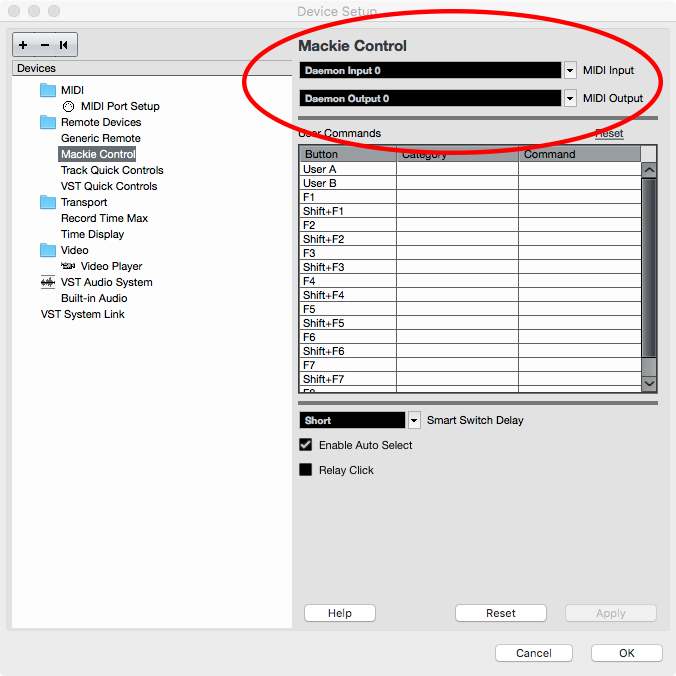 Logic’s Mackie Control implementation does not include an assignment for Count-In— an essential command for anyone who records their own music. It can easily be added. • In the upper right text field, type “Count-in”. • Now just press the Count-In button on MK Transport. Logic will learn the MIDI command. 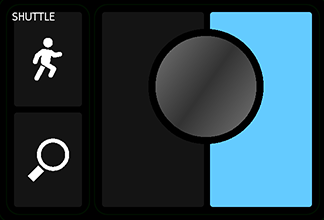 • Just like before, in the Key Commands area type “marker”. • Choose “Create Marker without rounding”’. • Click “Learn New Assignment..” and press the Add Marker button on MK Transport. The ability to navigate frame-by-frame is an absolute must for media composers. Unfortunately, the Mackie Control’s previous/next frame buttons are tied to the current state of the Shuttle. Let’s change that. • Again, in the Key Commands area type “frame”. You will see two commands: “Rewind One Frame” and “Forward One Frame”. • Choose “Rewind One Frame”. Press “Learn New Assignment” and hit the Previous Frame button on MK Transport. • Now do the same for “Forward One Frame”. Now these commands are always available. Please refer to the MK Transport 2 walkthrough video. Additional topics will be added to this online Knowledgebase at a later time. When designing your layout, look at the Lemur Editor– not your tablet. 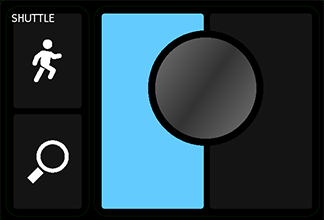 If your tablet is synced to the Editor, you may notice that the panels appear in different positions. 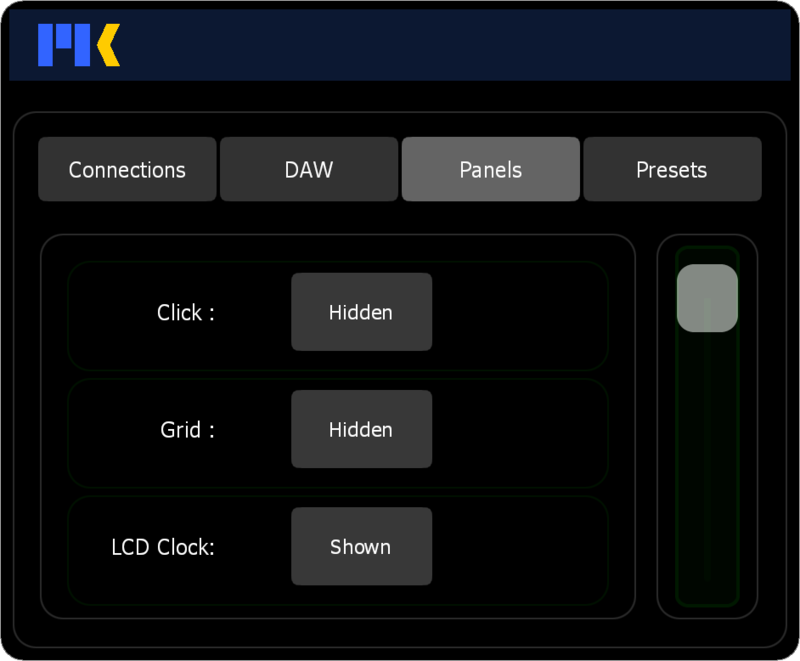 This is because Lemur is using 2 different container sizes to calculate the relative positions of your panels: its static reference size (in the Editor), and its current real time size (on your tablet, which you may have moved). Always design your interface using the Editor as a reference– not your tablet. When you re-sync they will match. If you want to force this to happen just disconnect and reconnect. When you are creating your layout, be careful to not accidentally delete any panels. Panels can be hidden in preferences. Why do the layout guides appear when MK Transport is first loaded? Simply tap MK Transport’s menu bar and they will disappear. This is a (tricky) programming issue that will be resolved in a future update. Why does the container move when I open preferences? The preferences window always remembers its last position. This is a nice feature because it is allowed to have a different location than the main window. What happened to DP support?